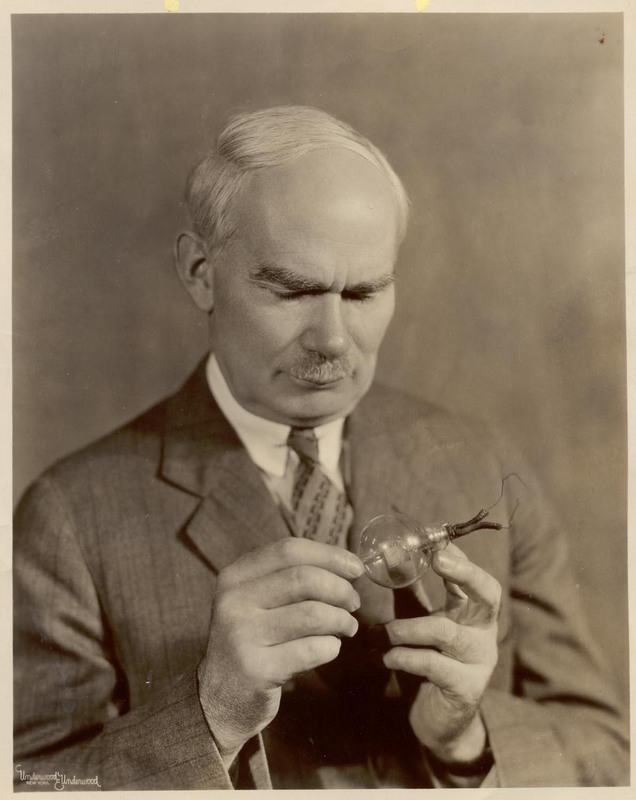 Lee De Forest , The self styled “Father Of Radio” (the title of his 1950 autobiography) inventor and holder of over 300 patents, invented the triode electronic valve or ‘Audion valve’ in 1906- a much more sensitive development of John A. Fleming’s diode valve. The immediate application of De Forest’s triode valve was in the emerging radio technology of which De Forest was a tenacious promoter. De Forest also discovered that the valve was capable of creating audible sounds using the heterodyning or beat frequency technique: a way of creating audible sounds by combining two high frequency signals to create a composite lower frequency within audible range – a technique that was used by Leon Termen in his Theremin and Maurice Martenot in the Ondes Martenot some years later. In doing so, De Forest inadvertently invented the first true audio oscillator and paved the way for future electronic instruments and music. In 1915 De Forest used the discovery of the heterodyning effect in an experimental instrument that he christened the ‘Audion Piano’ . This instrument – based on previous experiments as early as 1907 – was the first vacuum tube instrument and established the blueprint for most future electronic instruments until the emergence of transistor technology some fifty year later. 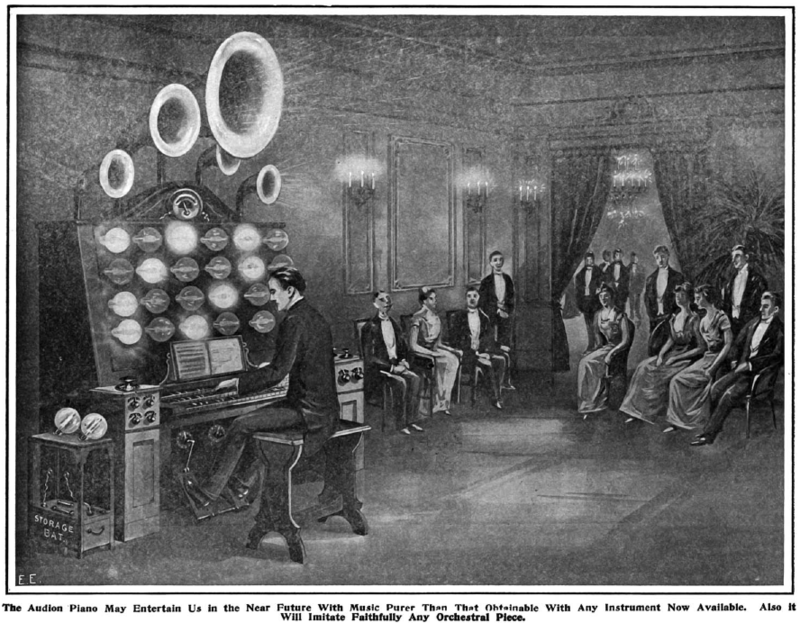 The Audion Piano, controlled by a single keyboard manual, used a single triode valve per octave, controlled by a set of keys allowing one monophonic note to be played per octave. This audio signal could be processed by a series of capacitors and resistors to produce variable and complex timbres and the output of the instrument could be sent to a set of speakers placed around a room giving the sound a novel spatial effect. De Forest planned a later version of the instrument that would have separate valves per key allowing full polyphony- it is not known if this instrument was ever constructed. De Forest collaborated with a sceptical Thadeus Cahill in broadcasting early concerts of the Telharmonium using his radio transmitters (1907). Cahill’s insistence on using the telephone wire network to broadcast his electronic music was a major factor in the demise of the Telharmonium. 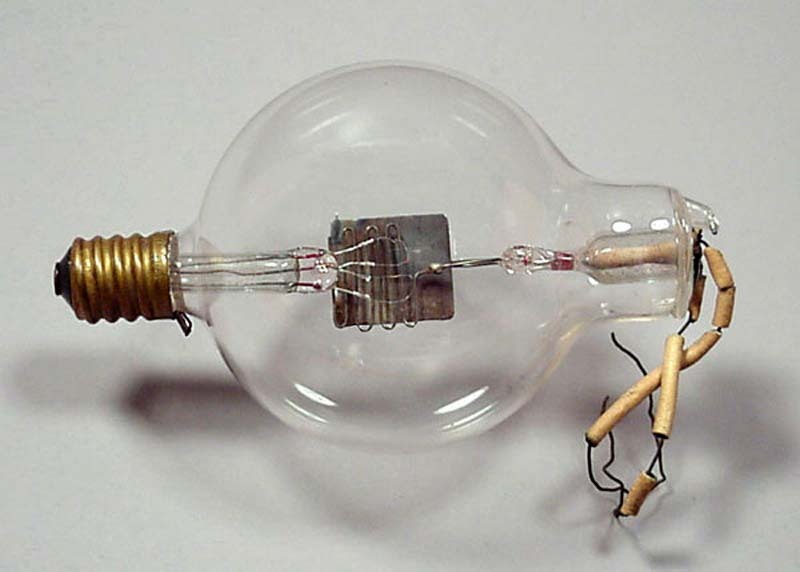 Vacuum tube technology was to dominate electronic instrument design until the invention of transistors in the 1960’s. The Triode amplifier also freed electronic instruments from having to use the telephone system as a means of amplifying the signal. Lee De Forest “Father Of Radio” (Autobiography). Lee de Forest: King of Radio, Television, and Film 2012. Mike Adams (auth.). On the first photo is Leon Theremin with his harmonium at his studio in New York around 1930. Of course it is! – I’ve changed it. thanks. FYI: The transistor was invented in 1947. Transistor equipment gained in practicality and commercial potential through the ’50’s (for example an all-transistor car radio was introduced in 1955) and by the 60’s it was much more commercially viable (as compared to vacuum tube equipment) than before. Love your site! Thanks for the cool retro gizmos!